I'm freetrader (ftrader on github, gitgud and Reddit), a fervent fan of freedom - in software, markets, currencies and communication. Right now, I'm very much interested in successful on-chain scaling of Bitcoin, mostly through the hard fork of Bitcoin Cash. Bitcoin Cash arose out of the desire to hard fork Bitcoin as a way of upgrading and getting more capacity and growth back into Bitcoin. I share the same vision for Bitcoin as peer-to-peer electronic cash for the world as initially put forth by the BTCfork community. I can usually be found in the development Slacks of BTCfork and various Bitcoin implementations , on Bitcoin- and cryptocurrency-related forums , and you can contact me by email if you need. My PGP key ID is C07A7C345E86B06C, and the fingerprint is CC32 9A4F B0E4 1392 8295 05FE C07A 7C34 5E86 B06C. I'm a member of Bitcoin Unlimited and my BU signing address is 1Libre7MGkCXr7pUAEbwihCR9X4quYAyQ4. I'm on Memo - my profile is https://memo.cash/profile/1EDtyAxn8zh9qBdWxdCyhY7AFzLcHvFrtE . Ask for signature proof if you think someone is impersonating me, and please notify me if you find someone pretending to be me. It should be possible to confirm this bare signature by pasting the text from "I confirm" until the final "src/bitcoin..." line into your client and verify using the signature which follows the text. The bare signature should work in any Bitcoin-Qt client, such as ABC. An update of this post will be released once I am able to verify the checksums for the Windows build. Thanks to all who made this release possible and are supporting Bitcoin ABC. I found a partial solution to ABC issue 80, which is a problem of pre-fork transactions showing up with wrong dates after import of private keys from older wallets. Transaction dates are assigned using a selection of heuristics during a re-scan, some of which produce very strange (wrong) results. A workaround to some of these problems was described by user 'dooglus' in Core issue 6662. However, it does not solve all problems. I'm looking at the wallet code to familiarize myself with it. Other small fixes are being made in preparation for next release. I've looked at the buildbot software, which deadalnix mentioned a few times. It seems a great fit for ABC's (and the wider Bitcoin Cash clients) testing needs. We could set up a structure of master servers and people could contribute worker instances on various platforms. I am in the process of setting up some hosted servers (a build master and worker for starters) which should be able to run builds and perform tests. Incidentally, the ZCash project is also using buildbot, with Amazon Web Services. We might look at that later on. For the beginning I think we can run workers on our own dedicated servers. Bitcoin Unlimited has tagged BUcash v1.1.1.1 , which should be out shortly. A great set of changes. For some reason my OSX gitian build for BU is broken (SSL certificate problems with curl). Bitcoin Cash has a huge advantage in that it is able to absorb a large amount of actual economic use by inviduals and small to medium sized businesses which have been driven away by the high fees on Bitcoin. In a short time, we have seen interesting use cases return, including tip bots on Reddit, and the content platform Yours.org which intends to build an innovative micropayment-based service has also moved back from Litecoin to Bitcoin (Cash). Fairlay have stated that they plan to provide tipping integration services with big social media platforms like Facebook and Twitter. This will greatly help to get people interested and using the currency, which is our number one priority right now. Other important use cases like coin mixing services are bound to make a comeback on Bitcoin Cash as long as fees remain low. This could give the currency a privacy / fungibility advantage over legacy Bitcoin. There has been much discussion around the topic of the Emergency Difficulty Adjustment (EDA). My view agrees largely with that of deadalnix as he expressed on the bitcoin-ml mailing list. The EDA has ensured the survival of the chain up to now, but it is not optimal and not intended to be used repeatedly in the longer term. Unless there is a definitive and permanent majority swing of hashpower to the Cash chain, a replacement will need to be ready (but not necessarily deployed) in the next weeks. A number of proposals have been made on the mailing list. These need to be carefully studied, simulated and compared, before a choice is made for the next hard fork. Whatever is chosen needs to demonstrate that it is clearly superior to Bitcoin's existing algorithm and to the EDA, and does not leave the chain more vulnerable to attacks. Realistically, indications are that the fight over hashpower is going to take a while, and the outcome is uncertain. Being in a permanent competition for hashpower with another coin is not desirable, even if it may be survivable. It is refreshing to see volume pick up on the bitcoin-ml mailing list, with various people, including the developers of the Cash-supporting clients, contributing to the discussion. Naturally, the topics revolve around EDA, the further roadmap and hard fork planning. Like most others, I think we should give businesses a chance to become familiar and comfortable with Bitcoin Cash before we fork again. Unless there is an emergency requirement to fork, I would hope we can have a period of stabilisation for at least six months. It's inspiring to see how well Bitcoin Cash has done in this last week. The market has certainly run with it. It's unclear whether the temporary spike in transactions that led to the mining of a nearly 8MB block was an attempt to attack the network, or simply a test of transaction capacity. It certainly was not a scheduled test by any of the main implementations, so naturally it put everyone on alert. Regardless of intent, it showed the network was more than capable of absorbing such loads, and may have contributed to increasing confidence among users and those watching on the sidelines. If it was intended as an attack, it's safe to say it backfired spectacularly. Price rises brought parity in terms of mining profitability with the legacy chain. A further difficulty reduction by about 40 percent boosted that profitability advantage (at least momentarily) to upwards of 150%. Miners have certainly paid attention, with large new pools joining to mine the chain. All signs point to continued support and growth. We shall need to let the market speak, and listen carefully to what it says. I believe we need to open the public discussion to introduce a separate address scheme in this coming week. Reproducing the import-related wallet issues has proved difficult, and work is still ongoing. This week has seen adoption by the first merchants such as Keyois, the manufacturers of the Keyois Capsule (a stylish and secure storage device for paper wallets), and Keys4Coins, a PC games store. Rocketr's new Bitcoin Cash payment option is a great solution for merchants wishing to get on board. Reddit users are also setting up a tip bot which seems to be progressing nicely. There is a lot of positive momentum, but the recent price rises in Bitcoin have been stealing some of the excitement. At the same time, a rise in the Bitcoin transaction backlog due to this market action is putting the spotlight on the shortcomings of the legacy chain. With every further wave of problems (high fees, erratic/long confirmation times) on Bitcoin, more users will realize that these problems do not need to exist, and that Bitcoin Cash can offer a better future. As a matter of first priority ABC developers are trying to reproduce and fix issues reported by users. Several users reported interoperability problems based on the 'bitcoin:' URI scheme being associated with payment on the existing Bitcoin chain. Discussion about a new URI prefix has converged on 'bitcoincash:' among after some initial to-and-fro on the bitcoin-ml mailing list, Github and other discussion forums. Bitcoin ABC's next release should support this new scheme, as well as roll out optional support for new network magic. Some wallet related issues to do with import of BTC private keys and potential problems with long inter-block times are being followed up too. Next steps will involve enforcing new network magic, cleaning up the logical separation in terms of software package names and resources such as data directory and registry entries. Also, a new address scheme will need to be coordinated to reduce the chance of accidentally sending coins of the wrong type. August 1 2017 was F-Day. Bitcoin's first block size upgrade hard fork - a controversial event which some had said could not happen. Yet, here we are, nearly a week after this significant event which has given birth to a spin-off chain with a bigger (and flexible) block size cap. Though coordination for a hard fork among 4 different client implementations (ABC, BU, Classic and XT) is not entirely easy, it does seem like this fork could not have been a success otherwise. The valuable contributions from every client is what made it a success in the end. Late-game specification changes led to some consternation, and should better be avoided in future. A surprisingly large amount of code and tests need cleanup and fixing after a hard fork. And not everything will go smoothly - bugs will be there (in various implementations) no matter what. As someone predicted, having multiple client implementations is a good way to save each other's bacon during such events. I am extremely happy to see Bitcoin Unlimited, Bitcoin Classic and Bitcoin XT all join together in preparing UAHF-compatible versions. I will try to run them all during this fork, and would encourage everyone who has a moderately powerful PC to do the same (use different ports and separate data directories). That way, even if the UAHF node network is attacked using zero-day vulnerabilities, there is a chance at least one of your nodes will stay up. 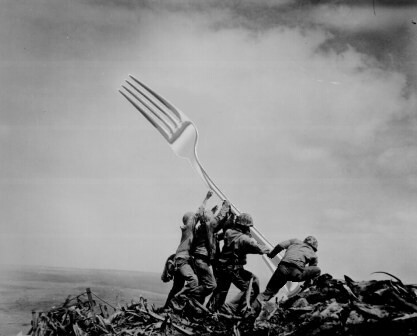 May the fork be with us! By popular demand, I am providing a "bare" signature instead of the clearsign signatures produced by my old Armory (people are having trouble verifying these with other clients). The following is the data (paste from "I confirm" until the final "src/bitcoin..." line into your client and verify using the signature which follows the text. The bare signature should work in any Bitcoin-Qt client, such as ABC. I confirm the following checksums for the Bitcoin ABC 0.14.6 release. Linux, OSX and Windows Binaries for the 0.14.6 version have been built by deadalnix and myself using gitian (reproducible builds). The binaries can be downloaded from https://download.bitcoinabc.org/0.14.6/ . This blog is powered by ikiwiki.